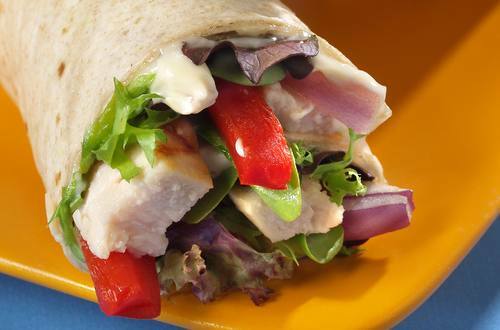 1 Spread It: Spread Hellmann's® or Best Foods® Light Mayonnaise on tortillas. 2 Stuff It: Layer chicken, red pepper, red onion and salad greens down center of each tortilla. 3 Wrap It: Roll and fold the filled tortillas. Also terrific with Hellmann's or Best Foods Real or Canola Cholesterol Free Mayonnaise.